After lunch in the East Room in Plassey House on the campus of the University of Limerick at the end of last week, two of us strolled through the university campus and walked across ‘The Living Bridge’, a unique design by the London-based architects WilkinsonEyre. The Living Bridge, with its light, undulating profile, is a pedestrian bridge across the River Shannon linking the University of Limerick’s campus in Co Limerick with Co Clare. 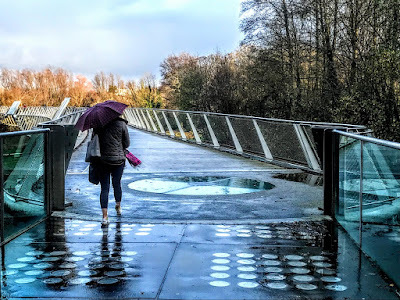 At 350 metres, it is the longest pedestrian bridge in Ireland. It consists of seven 50-metre spans linked together by piers that create four platforms of refuge for walkers. 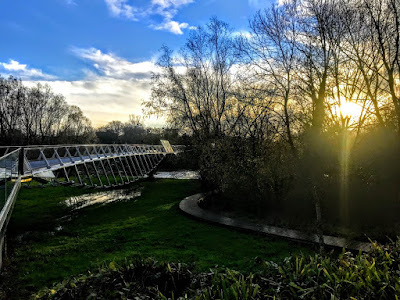 The steel footbridge was designed as a large sweeping arch gently resting on strategically positioned piers dotted through the river, joining the established Co Limerick campus to the south with the new sites in Co Clare on the north bank. Respecting the area’s conservation heritage, the bridge was built off-site and then carefully installed across the river. The footbridge has a smoothly curving profile, creating an organic dialogue with the unique natural setting. The platforms are designed to accommodate social gatherings, informal teaching sessions, music and dance performances, as well as a wide array of educational, social and cultural activities – all contributing to the vision of a ‘living’ bridge. The bridge alternates between rhythms of bridge and island, with light-weight bridge structures joining to more solid pier locations. This is reflected by the change in construction materials from steel to concrete and the transition from open parapets to solid pillars and glazed side walls that shelter those who cross this animated facility. The architects designed the bridge to move in a beautiful flowing line across the Shannon, mirroring the river. The design conveys the sense of a series of bridges leaping from pier to pier, each supported by one of the existing islands in the riverbed. 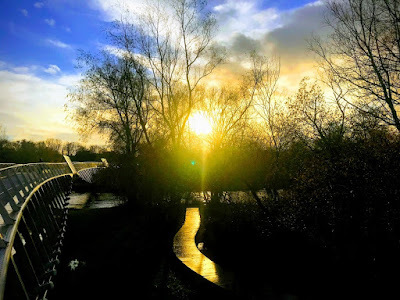 This gives all who cross the bridge the sense that we are crossing the river on stepping stones. Access to the bridge from the south campus is through what looks like a hidden gateway in the Millstream Courtyard. 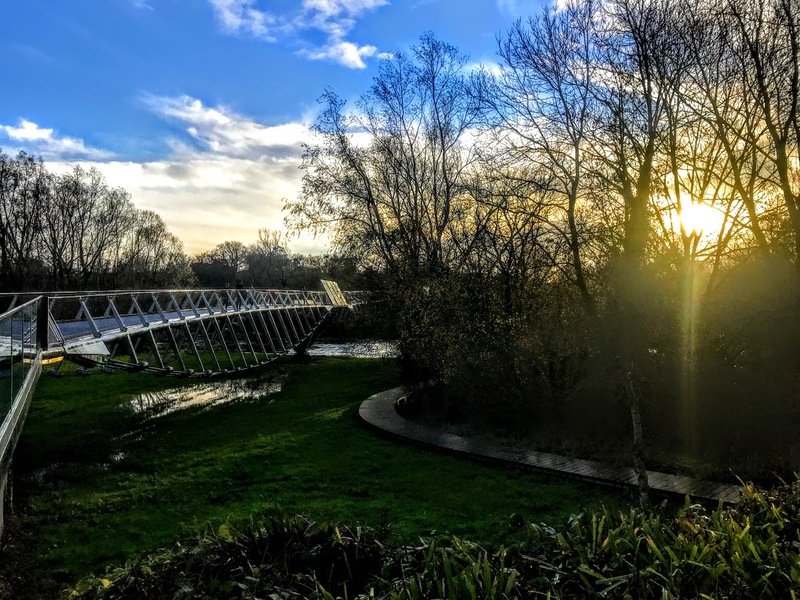 The bridge provides a vital link between the Glucksman Library, Concert Hall and Millstream developments to the Health Sciences and the new Irish World Academy of Music and Dance on the north bank. Once you travel over the bridge, an impressive plaza welcomes you into Co Clare. 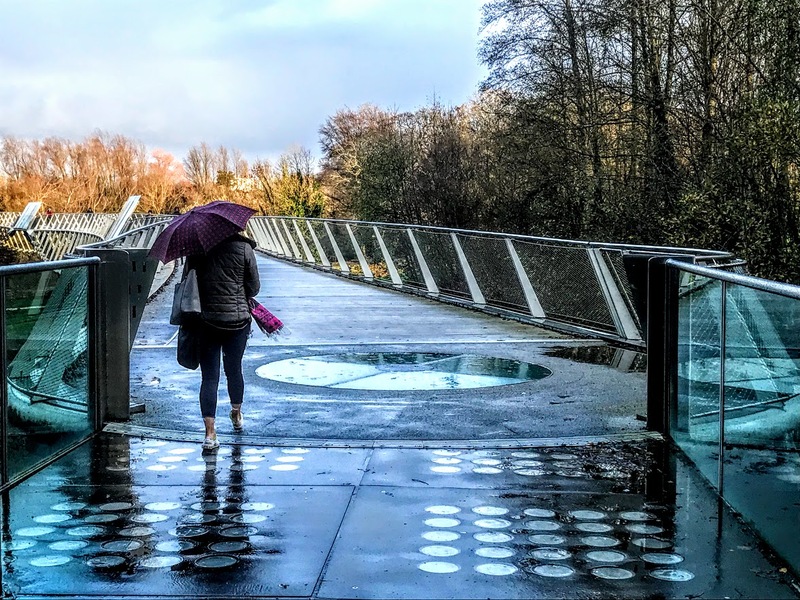 The bridge was designed by the London-based architects WilkinsonEyre to provide social and cultural space that would encourage pedestrians to rest a while as they cross along the gently curved structure. At this point on the Shannon it is wide and shallow, with many wooded islands that provide varied views and support for the piers. The deck is supported by two underslung catenary cables. WilkinsonEyre dates from 1983, when Chris Wilkinson founded Chris Wilkinson Architects. He was joined by Jim Eyre as a partner in 1987 and the practice was renamed WilkinsonEyre in 1999. The practice has led the completion of many high-profiled projects, including Gateshead Millennium Bridge, Cooled Conservatories Gardens by the Bay, Oxford’s Weston Library and Guangzhou International Finance Centre. The Living Bridge project was resourced through a partnership of private and public funding. Arup Consulting Engineers in Dublin developed the construction methodology with every effort to minimise the environmental impact during the construction works. The project was financed through a public-private partnership, and construction was undertaken by Eiffel Constructions Metalliques, France’s largest bridge builder. Kerin Contract Management in Limerick managed the project, and it was completed in November 2007 at a cost of €12 million. The bridge has received the RIBA European Award and was the winner in the Institution of Structural Engineers structural awards for Pedestrian Bridges in 2008. That year the French Steel Construction Syndicate declared it the most beautiful steel work in the Bridges Category. 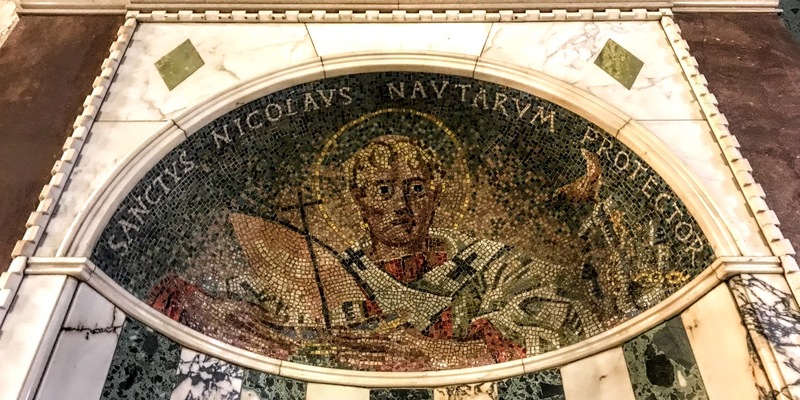 Today the Church Calendar in Common Worship commemorates Saint Nicholas [6 December], the Bishop of Myra who is the inspiration for Santa Claus. 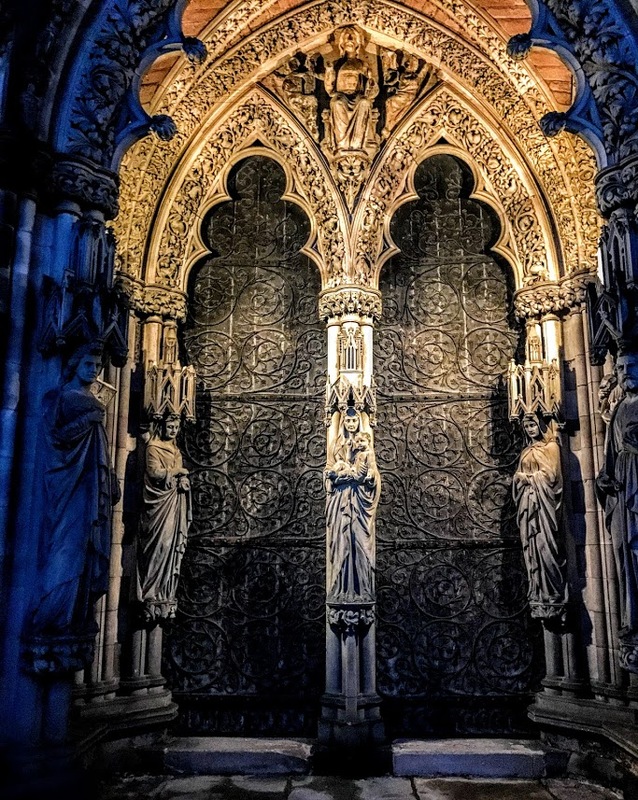 Throughout the season of Advent this year, I am spending a short time of prayer and reflection each morning, using the prayer diary of the Anglican mission agency, USPG (United Society Partners in the Gospel), and the Advent and Christmas Devotional Calendar for 2018 being used in Lichfield Cathedral. We are in the middle of 16 Days of Activism against Gender-based Violence, and the USPG Prayer Diary beging this week with an extract from a speech given at this year’s USPG Conference, ‘All Things Are Possible,’ in High Leigh by Jessica Richards, co-ordinator for Campaigns and Advocacy in the Church of South India. Pray that the Anglican Churches around the world might become beacons of hope in standing up for the rights of women. 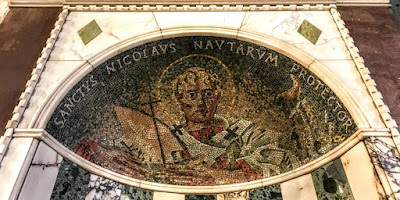 Today the Church Calendar in Common Worship commemorates Saint Nicholas. The suggested reading is Matthew 7: 21, 24-27. Pray for courage to go deeper in faith and understanding. Remember our duty to help a rising generation come to faith. Isaiah 61: 1-3; Psalm 68; I Timothy 6: 6-11; Mark 10: 13-16.